Brando Cutts, lying on his back, head draped over the end of a small mattress, gags out a never-ending, yet halting stream of direction: “Always… go… for… my neck,” he tells Pedro Louis, the actor who kneels above him. Louis, who plays the titular character in Long Beach Shakespeare Company’s upcoming production of “Othello,” dutifully pulses down on Cutts’ windpipe, looking every bit the CPR novice who has really gotten his wires crossed. “Perfect,” Cutts says, eyes watering. The choking continues as, sitting off stage, Dee Dee Popper, who plays Desdemona, the part Cutts has commandeered for the moment, asks about her character’s reaction when another character enters. Choreographer Monica Wasynczuk works with Pedro Louis who plays the titular role in Long Beach Shakespeare Company’s production of “Othello.” Photo by Andrew Roberts. Though he is both director of the play which opens Friday, Feb. 22, and the artistic director of the company, Cutts directs with childlike enthusiasm, as if this is the first time he’s encountering the material. It’s what Helen Borgers, founder of LBSC, saw in him when she cast him, pretty much against his will, in a production of “Romeo and Juliet” she was directing at Cabrillo High. It really was the first time he’d encountered the material. He also started showing up at LBSC, doing anything that needed being done. When he first showed up at age 14, it was as Brandon Cutts, his given name. That would soon change. It stuck. So did he, performing bigger roles and taking on greater responsibilities. They called themselves Ma Borgers and the Brando Kid; he gave her energy, she gave him knowledge, introducing him to great literature, cinema and theater. “Helen was a second mother to me,” he said. When she was dying from complications after surgery, she made clear that Cutts was her hand-picked successor, telling him on more than one occasion, “When I’m dead, this will be yours.” Her trust in him had grown after he’d come back from a stint in New York. He was still young, but the natural leadership that had moved him to start an ROTC program at Cabrillo, and apply to the service academies, began to show itself clearly in the theater. One day, while Helen was staging “MacBeth” and struggling to figure out how to get her actors from the lobby across the stage, Cutts suddenly suggested manufacturing a funeral procession. LBSC producer Dana Leach agrees. One of the qualities she saw was a resolve and resourcefulness necessary when you head an all-volunteer outfit as LBSC that tends to use young actors looking for experience and experienced actors looking to stay in shape. Though Borgers had faith in Cutts, not everyone else did. While directing “The Merry Wives of Windsor” an older actor, upon learning that he would be taking direction from someone in their early 20s, refused to do the play. Cutts swagger and strength was tested as Borgers was dying. He spent countless days by her bedside in hospice, reading to her, Kipling being a favorite. They co-directed “Love’s Labour Lost” with Borgers watching each rehearsal by webcam and then the two of them discussing the production each night. 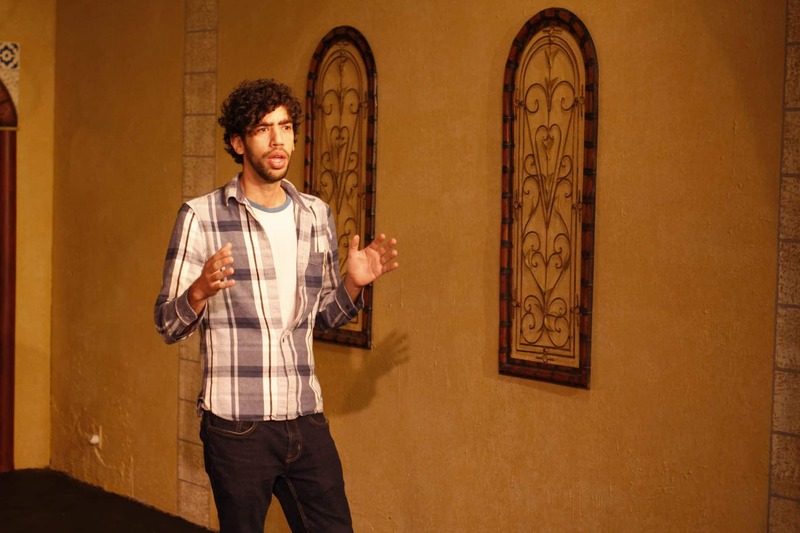 The day Borgers died in November of 2017, the company was set to rehearse a Christmas play. The decision was made not to tell the rest of the company of her passing until after the rehearsal. There was a show to do. When talking about that time, that show, Cutts still tears up. So does Leach. Director Brando Cutts. Photo by Andrew Roberts. But Cutts breaks out the greatest villain, Iago, right from the start in “Othello.” Iago has been called Shakespeare’s most evil character in part because of the intricacies of his machinations and in part because not only is there nothing outwardly evil about him, there is nothing outwardly exceptional about him either. He is, a regular guy. A regular guy who grafts his lies to just enough truth to play upon the fears and prejudices of his victims. “What makes him so scary is that we’re all Iago,” Cutts said. “You have a problem with so and so and you put a little poison in Robert’s ear and he tells Margaret and it grows and as it grows, it festers and that turns to hate. Iago is that part of us that lets hate consume us and, in that way, Iago is the Internet. The Internet has become our most hateful self. For the run of this play, Iago will be played by Manker, who says that it can be a weight sometimes difficult to bear. Of course, the whole season comes with a good deal of heft, something LBSC shares with other local theater companies who believe it their role to act out what have become, shall we say, complicated times. The evening “Othello” opens at the Helen Borgers Theatre, Cal Repertory will open its own production of “Cabaret,” a play about the hedonistic indifference that led to the rise of the Nazis. Similarly, Long Beach Opera has devoted its season to the theme of social justice. Emotionally taxing as his choice may be, it is also an ambitious one, one his mentor and second mother would no doubt understand and approve. One of Borgers’ heroes was Orson Welles, a wunderkind himself. She liked his confidence, his swagger, introducing him, his work, his method to Cutts who says that Welles has since become a major influence on Cutts. But, of course, Borgers remains his greatest influence… influence perhaps being too weak a word. She figures to be when Cutts’ “Othello” hits the stage Friday; in the Helen Borgers Theatre. 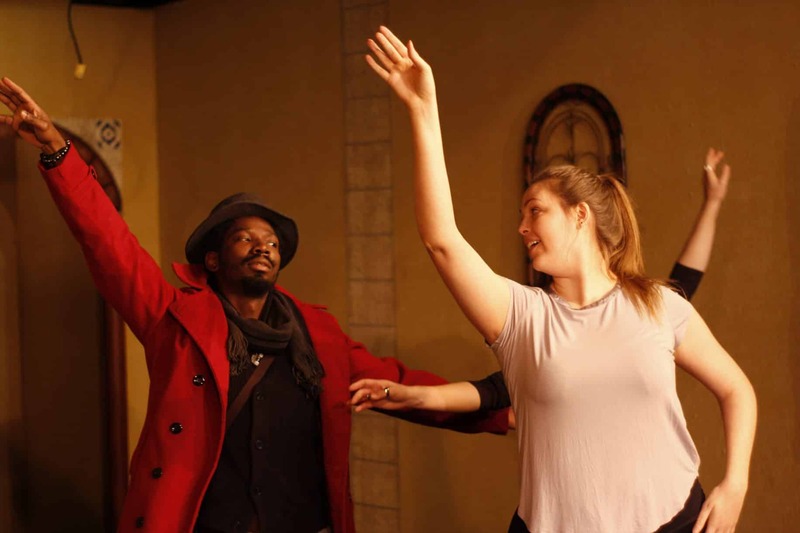 Long Beach Shakespeare’s production of “Othello” runs from Feb. 22 until March 16; Friday and Saturdays at 8 p.m., Sundays at 2 p.m. at The Helen Borgers Theatre is located at 4250 Atlantic Blvd. For tickets click here.